In a recent list put out by MusicRow, the top 100 songwriters of 2018 were named. Of the 100 listed, several Belmont alumni are featured. Those listed included graduates of Belmont’s songwriting and music business programs, among others. 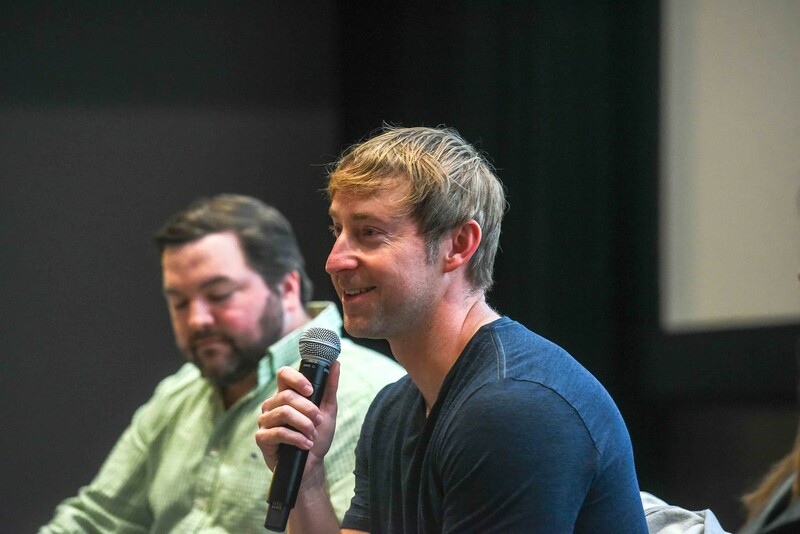 Coming in at number four on the list is Ashley Gorley, a 1999 Belmont alum who has been a noted songwriter for several years. Gorley recently won the ASCAP Country Songwriter of the Year award for the sixth time. The list also includes alumni such as the singer-songwriter duo of Florida Georgia Line, Tyler Hubbard and Brian Kelley. Other alumni who made the top 100 list are Nicolle Galyon, Hillary Lindsey, Jordan Reynolds, Russell Dickerson, Casey Brown, Parker Welling, Justin Wilson, Ryan Hurd, Justin Ebach and Jacob Durrett. Devin Dawson speaks to Belmont students. Graduates of Belmont’s songwriting program on the list include CJ Solar and Devin Dawson. MusicRow’s Top 100 songwriters list was made based on a song’s airplay, digital downloaded track sales and streams. They also looked at songwriters who were featured on MusicRow’s top songwriters chart.